The Queensland Medical Students’ Tournament is back, and the 2014 edition promises to be even more successful than previous years (year). In two weeks’ time, students from Bond, Griffith and UQ will complete their pilgrimage to Keith Hunt Park MegaStadium, and congregate to worship at the temple of good times and football. 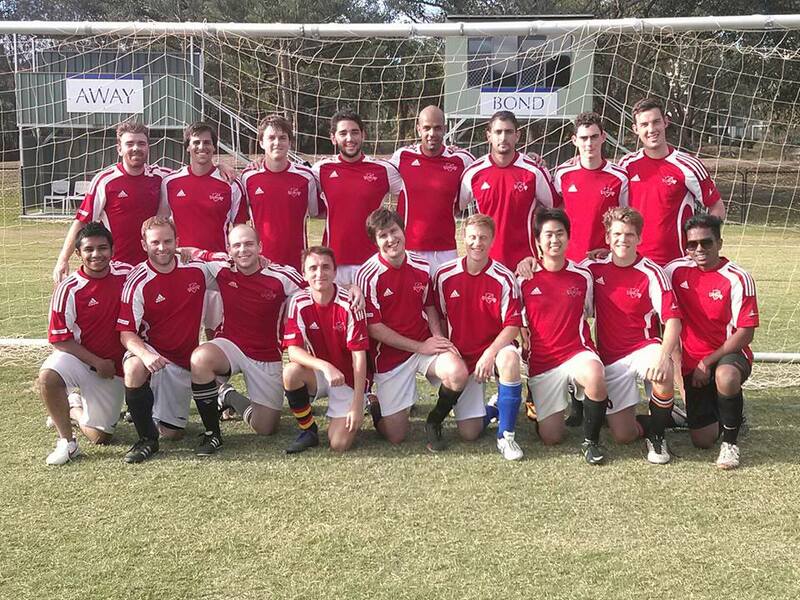 UQ Reds at the 2013 tournament. All three teams will fancy their chances, but it is the almighty UQ Reds (a.k.a. Herston Hatchets) who will take to the field as favourites. Devout fans will remember that UQ took out the inaugural edition of the tournament last year, by defeating Bond 1-0 in the final. Despite several notable absences, including captain Jenya Demidenok (on holiday in his native Ukraine) and last year’s player of the tournament Corey Area (knee injury, 4-6 weeks), UQ are still sending a strong side to defend their championship and honour. Those travelling to the games are advised to leave Brisbane in plenty of time, as traffic is expected to be severely disrupted in the area. Police will be on hand to manage congestion. Stay hydrated on the day, and above all, treat your fellow man with the dignity and respect that he commands. This entry was posted in Previews and tagged preview, qmst. Bookmark the permalink.